Come get out of the cold and join us for the hottest Mardi Gras Party in the Northeast! 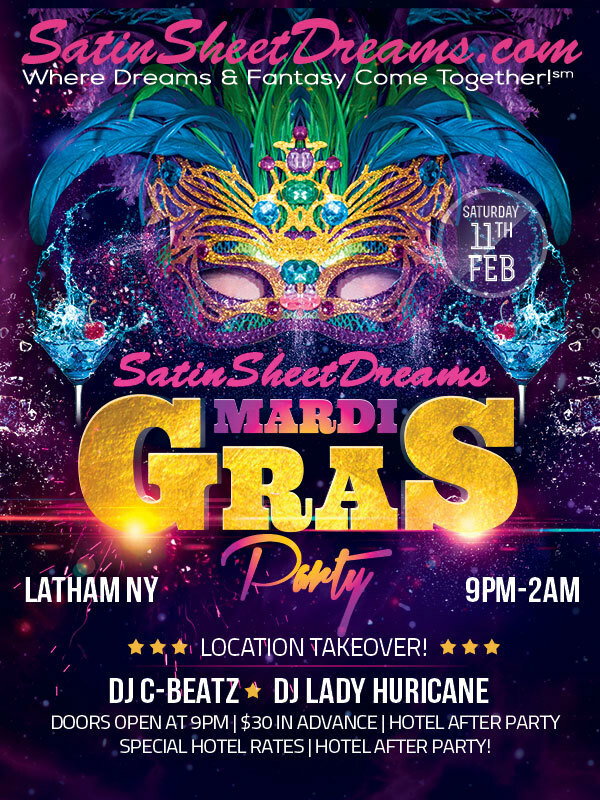 There will be plenty of beads to be earned, the sexiest crowd dressed in the sexiest attire, lingerie, masks, feathers, boas, gold, purple, green, yellow, pimp daddies, and our own crazy Mardi Gras tradition the Mardi Gras Toga! We are not really sure how that tradition got started but who are we to complain.